Most main roads in Greater Reykjavik have been cleared, but heavy snowfall from yesterday continues to cause congestion and delays. 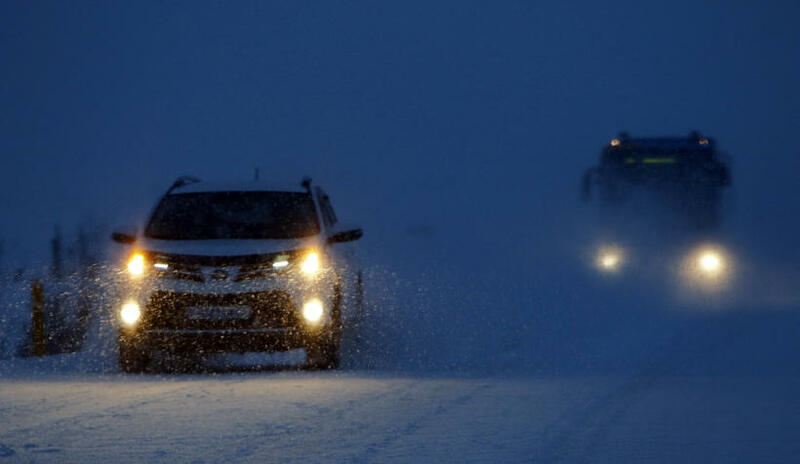 Driving conditions are difficult in most parts of South and South-West Iceland with snow-clearing vehicles working hard to improve the situation. Several traffic incidents have been reported and tens of people have visited hospital after injuring themselves on the ice and snow. Temperatures are below freezing across the entire country today. Significant delays are currently affecting the region’s bus services, with several routes between Reykjavik and South Iceland cancelled (see the Strætó website for more details). While snow-clearing is advancing well on main roads, residential streets may still be heavily snowed under, and Reykjavik City Council asks drivers to proceed with caution as stuck cars can delay clearing operations. You can check out the weather in your part of Iceland on Iceland Monitor here. The Icelandic Road and Coastal Administration also offers a real-time map of driving conditions around the country here.